Okay, now THIS is more like it. 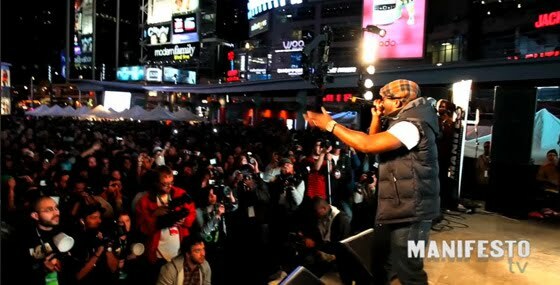 Black Thought of The Legendary Roots crew is one of the best lyricists out there, some say possibly THE best. He is definitely one of my favorite MCs so the guys over at Beau Monde knew that they had to pass this along to me. J.Period aka "The Mixtape Assassin" has been making some dope remixes and mixtapes for quite some time and this is another solid addition to his resume. You can find the download link after the press release & behind the scenes video below. 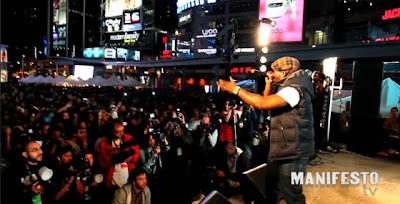 "Truelements + Lyrics to Go present the "J.Period Live Mixtape (Illadelph Edition)" EP, a first-of-its-kind J.Period mixtape recorded LIVE onstage at Toronto’s premiere hip hop festival, The Manifesto, Sept. 26, 2010. Starring legendary MC Black Thought (The Roots), the "J.Period Live Mixtape (Illadelph Edition)” EP features a 30-minute barrage of live J.Period remixes with Black Thought ripping rhymes over new and classic hip hop hits, Roots fan favorites, plus a finale segment where Thought pays tribute to his favorite MCs by impersonating them (a la The Roots’ “Boom”)...the “J.Period Live Mixtape (Illadelph Edition)” EP offers fans a glimpse of the Live Mixtape experience and showcases one of hip hop’s ultimate emcees over beats from Jay-Z, Biggie, Snoop, Damien Marley, Toronto’s own Drake, and more!